Whew! It’s been a crazy time preparing for Anime Boston 2018 and then navigating the inevitable chaos that is selling in an Artist Alley, but it was a whole lot of fun. I got to meet and chat with some really fantastic artists this year, as well as say hello to some old friends. And the folks who visited my booth were awesome! I’m so grateful to have the chance to meet so many wonderful people. It was so great to meet so many new folks this year. Thank you so much to everyone who stopped by to give my creatures a pat, say hello, or to ensure the baby raptors were posed dabbing. I even had a few folks stop by who had been to my booth back at Anime Boston in 2017, and it was so good to see you guys again! A few of you even brought the creatures you’d adopted last year to say hello, and that was just amazing. It makes my whole year to know I’ve made something that makes folks so happy. I tried to have a big mix of stock this year, compared to the tiny little booth in 2017. This year I had Baby Raptors and Baby Dragons, which I’d had last year. 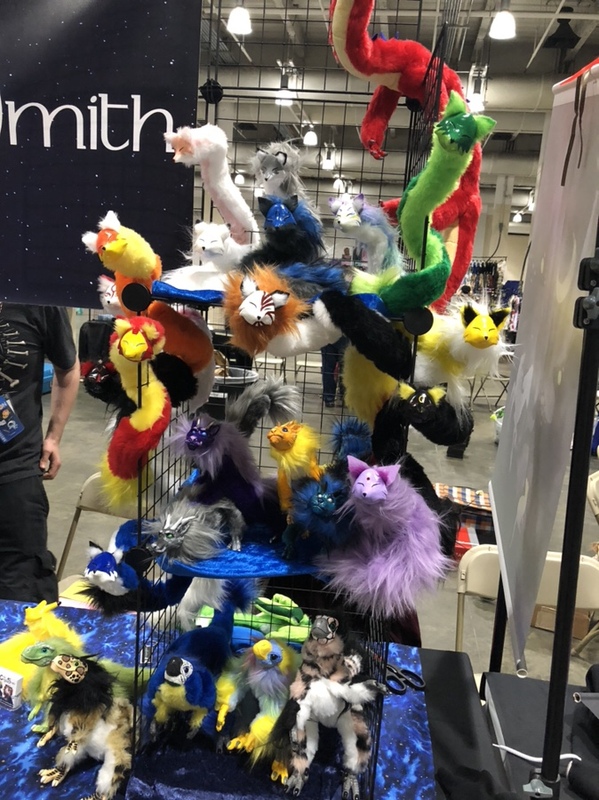 This year I debuted some new creatures; Eastern Dragons, huge Celestial Dragons, Baby T-rexes, and an anthropomorphic cat. And then, of course, I brought as many Pipe Fox Spirits as I could make. I’m sorry to the folks who stopped by on Sunday hoping to get a Pipe Fox, and I was pretty much out of stock. I’ll be doing my best to make even more for next time. 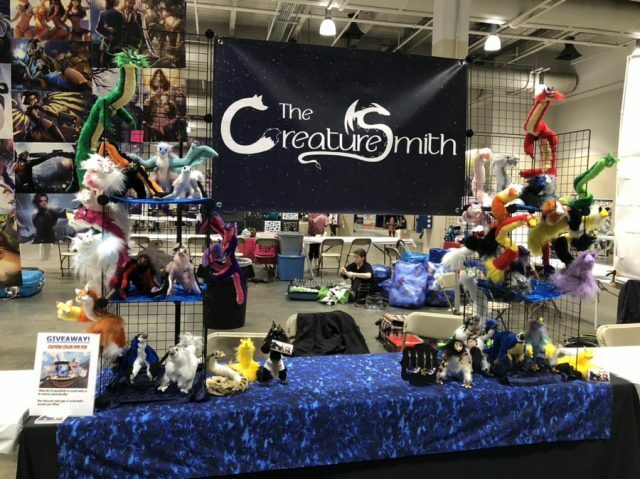 I’m hoping to have an even more fully stocked booth next year, with everyone’s favorite creatures and hopefully some new ones as well. If there are any creatures I don’t make yet that you’d like to see, I’d love to hear about it!